If you're a fan of his standup comedy, chances are you've been waiting with bated breath for John Mulaney's new FOX sitcom Mulaney. While the former Saturday Night Live writer may have the familiar face you're tuning in for, the cast is loaded with talented characters, like the TV Mulaney's roommate and fellow comedian Motif. 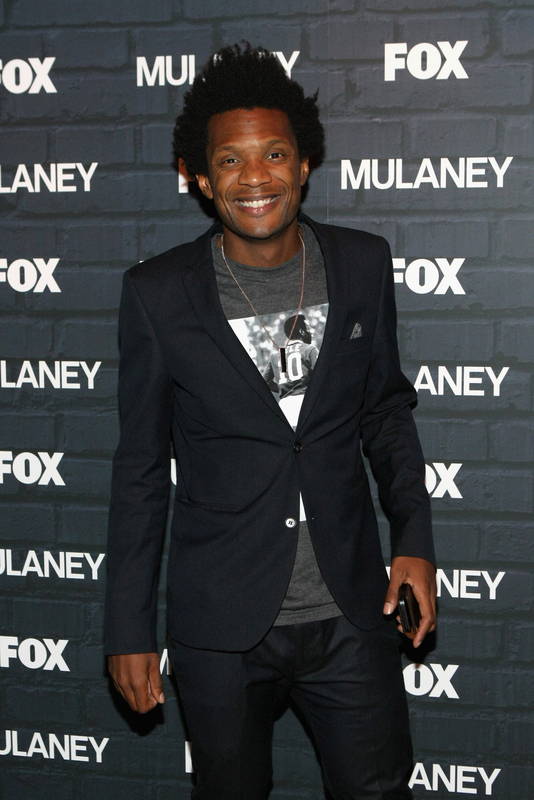 But just who is the actor behind Motif, Seaton Smith, who joins the star on Mulaney? While I'll get to his comedy chops in a minute, some parents will recognize Smith from his appearance in the hipster kids show Pancake Mountain as The Mad Professor. Broadcast out of his native Washington D.C., the show was graced by musicians like Henry Rollins and The White Stripes, with a theme song by Anti-Flag, so you know Smith not only has the charm of a quirky kids show under his belt, but some cool factor street cred to boot. Smith has been singled out as a significant part of Washington D.C.'s small, yet robust independent comedy scene by Splitsider. In fact, The Daily Show's Wyatt Cenac, even said he was "jealous" of Smith's energy in an interview with the site, and that the new comic was one of his current rising favorites. See some of that energy for yourself in the Mulaney clip below. Having a Daily Show alum envy you is pretty much one of the highest forms of comedy praise for someone new on the scene, I'd reckon, and Smith shows no signs of slowing down. Despite being on a new show, Smith still performs standup regularly and posts about his shows on his Twitter feed. He also has his own webseries, Annoy Charlie Smith Inc.The Sierra Mist Creative Lab liked Smith enough to let him create and produce the web short "Pimpin' Referee" which if you haven't seen already, you can (and should) check out on YouTube. While people may already be counting down Mulaney's cancellation chances, let's hope we get to spend at least a little more time with Seaton Smith.